ÅF has signed a contract with DalsSpira Mejeri for the delivery of a new dairy plant. The contract is worth about SEK 12 million with the new dairy being completed in June 2016. ÅF is also responsible for relocating the current goat’s milk dairy to the new plant, which will have the capacity to produce up to 14,000 litres of milk per day. ÅF has signed a contract with DalsSpira Mejeri for the delivery of a new dairy plant. The contract is worth about SEK 12 million with the new dairy being completed in June 2016. 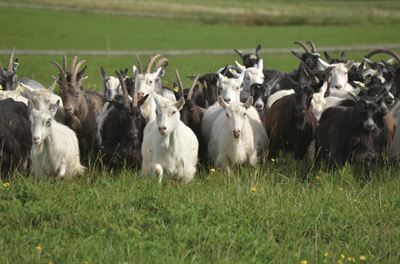 DalsSpira needs to increase its production of goat’s and cow’s milk products and ÅF has been contracted to deliver the dairy plant as an end-to-end solution in Dalsland, Sweden. The contract covers project planning and management along with installation of processing equipment including electricity and automation. ÅF is also responsible for relocating the current goat’s milk dairy to the new plant, which will have the capacity to produce up to 14,000 litres of milk per day.